"Do you have any Christmas music?" We had a lot of visitors to our home over the last couple of weeks. That can be a challenge for me since I don't really celebrate the holidays anymore. Nevertheless the old box of Christmas decorations did get pulled out of the garage rafters, and the next thing I know I had guests checking out my reference audio system and asking me if I had something, well, suitable to play for the occasion. It's not that I don't have Christmas music in my collection--I do, but it's all New Age-y holiday fare from a passing phase in the early '90s. (Hint: a particular woman was involved with those purchasing decisions, and I wish she had taken those CDs with her.) Suffice it to say that the only holiday music I'd even remotely consider is the Vince Guaraldi Trio doing A Charlie Brown Christmas. Chad Kassem at Acoustic Sounds just did a new remaster of that, but I think the deadline for buying that in a timely manner has passed. Fortunately, one of the new disc sets I'd received from Morten Lindberg of 2L Recordings fit the seasonal bill. 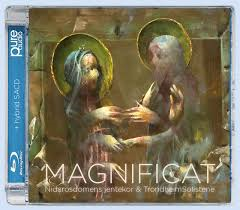 Magnificat, a new album of sacred pieces for small orchestra, pipe organ, piano and choir, satisfied the more cerebral and esoteric among us and was the perfect antidote to all of those traditional songs that plague us every December (and November and October). The title piece, composed by a young Norwegian named Kim Andre Arnesen (who was born in 1980, something seemingly odd and rare in the world of classical music composers), specifically addresses the story of "the angel Gabriel visiting Mary with the message that she will be the mother of God's son." The other pieces, Aaron Jay Kernis' "Musica Celestis" and Ola Gjeilo's "Tundra" and "Song of the Universal," are equally evocative of the holiday spirit. This is one release from 2L that will immediately engage you whether or not you're a fan of contemporary classical music. 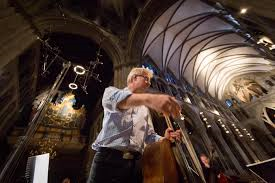 From the opening notes of "Magnificat" you will be seduced and comforted by the sheer beauty of it all, such gorgeous melodies and ideas framed in that usual warm sound that can only come from Morten Lindberg, some recording equipment and the usual Norwegian church. This music becomes something much more substantial than those hoary old carols--it's music that finds a direct connection to your soul whether you lead a religious life or a largely secular one such as me. Beyond Morten and the composers, there's so much talent worth addressing on this recording--Ola Gjeilo's stunning and full piano work, powerful yet lovely solos from sopranos Lise Granden Berg and Cecilie Ertzaas Overrein and even masterful pipe organ contributions from Magne H. Draagen. You also get none other than TrondheimSolistene performing the role of the smallish string orchestra--their landmark Souvenir, after all, pretty much put 2L on the map when it comes to the world's most beautiful and realistic recordings. In a lot of ways, this is my favorite 2L release so far and not just because it's so immediate and accessible. I've always been a huge fan of so-called sacred music, but not because it inspires my "faith," whatever that is. Since I was in college I felt a special bond with those classical composers who felt the hand of God on their shoulders as they put pen to paper--in particular Arvo Part's sacred music makes me feel as if I've discovered hidden keys to the universe. Magnificat elicits those same quiet and peaceful epiphanies, which is far more rewarding than those tired old Christmas songs. Last week was a rough, troubling week. Monday started off with a health scare that put me into a foul yet unstable frame of mind. The ongoing debate over the political correctness of the term "Wife Acceptance factor" became quite heated and I found myself being criticized on both sides of the argument. All of this happened in the middle of our seasonal rush, with international shipping avenues completely clogged up for the holidays, resulting in delayed shipments and angry customers. And people ask me why I don't celebrate Christmas. Maybe two decades of retail management has something to do with that. I did receive another welcome package from Norway. Morten Lindberg sent me several 2L recordings to review, and those should appear shortly. In that care package, however, I found two discs that I've already reviewed--TrondheimSolistene's Souvenir and Flint Juventino Beppe's Remote Galaxy. I did notice that the packaging was slightly different--traditional jewel cases had replaced the older clamshell case. When I opened them I discovered that these were merely Blu-Ray audio discs--not the usual two disc set with both Blu-ray and a CD/SACD hybrid. I wasn't quite sure why Morten wanted to send these to me--I already have both of these titles in LP, CD and Blu-ray. Perhaps he wanted to emphasize a more affordable way to own these groundbreaking recordings. I put them aside for a couple of weeks and almost forgot about them. When I noticed them once again, sitting in my stack or review materials, I suddenly remembered the strengths of each recording and how that would translate to listening on my new high-quality headphone rig. First up was Souvenir, the Grammy-nominated recording that really put 2L on the map in the US. If you remember my original reviews of this recording, you'll know that these are small orchestra performances of pieces from Nielson and Tchaikovsky that are arranged in a way so that no musician sits next to another musician with the same instrument. The result is a blended sound that will challenge what you think you know about classical recording. Yesterday, I had an idea. I've just received the new high-efficiency (94 dB, 8 ohms) Unison Research Max loudspeakers, which were designed for low-powered tube amps such as Unison's own Simply Italy (12wpc) and Triode 25 (22 wpc triode/45wpc pentode). Needless to say, the Max goes very loud with very little power. These 2L recordings were downright ideal for such a set-up, with plenty of delicacy during the quieter moments and plenty of gusto during crescendos. Before you know it, my troubles vanished and I starting thinking about how much I've come to love the music coming out of Norway these days. I just submitted my ten top albums for 2014 to Perfect Sound Forever, and three out of the ten are Norwegian recordings. Something tells me that if I visited Norway, even for a week, I'd come back refreshed and ready to write about controversial issues in audio once again. The debate has been heating up over the last few days. The day after my article on women in audio was published on the Part-Time Audiophile website, Kirsten Brodbeck-Kenney's piece appeared on the same website. 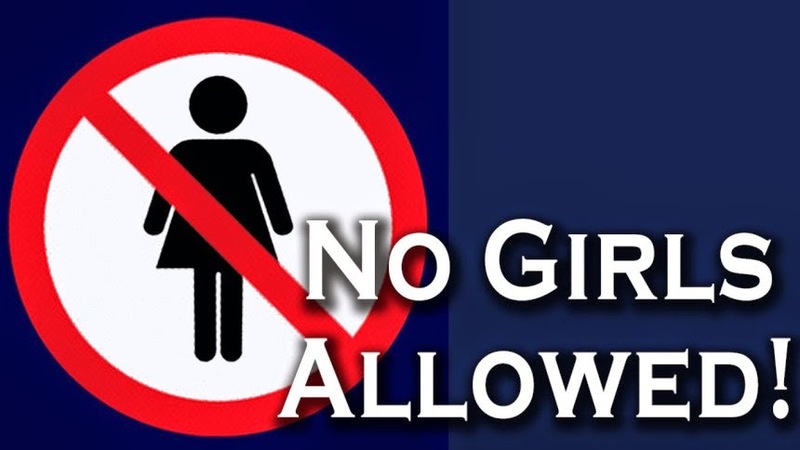 Her article, "No Girls Allowed: Why I Hate 'Wife Acceptance Factor," made a much bigger splash than mine did--probably because she's a woman and that's the point, we want to hear from women on this issue and second, her piece is just brilliant. I went to bed that night and had a weird dream, a dream like none other I've ever had, where I had written and directed a Broadway play (I'm not not a big fan of the theater), and when I stepped out on the stage to thank the audience the lights had already come on, the microphone had been turned off and most of the audience had already left. Anyway, a couple of days later Scot Hull, chief bottle washer at Part-Time Audiophile, also published a piece by Cookie Marenco, owner and founder of the awesome label Blue Coast Records. Her piece, "Of WAF and Wimps," is yet another brilliant piece on women in audio, written by a woman. While I'm suddenly feeling a little self-conscious about my article--I'm just another guy writing about what women supposedly think about something--I do feel proud to be a part of something that's gaining momentum. I've seen a few other men chime in with their thoughts on the subject, even re-hashing old articles they've written on WAF in the past. But let's face it...who cares what the men think? It doesn't matter. The "wimmens," as Kirsten likes to say with her tongue in her cheek, know the answers to all these questions from male audiophiles, and the men simply aren't interested in shutting up and listening. 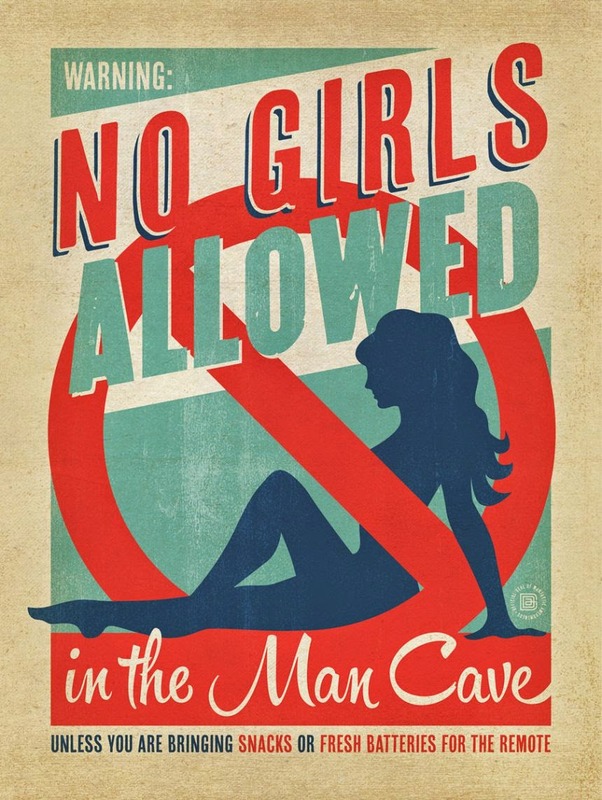 On the original forum discussion that prompted Kirsten and me to write our articles, one man keeps asking for other women to chime in on the subject...women other than Kirsten, of course. It's as if he's saying that he needs a consensus of women to tell him he's part of the problem--one single intelligent and thoughtful woman won't do. In other words, we still have a long way to go. And to the man who keeps asking me what Colleen thinks about all this, well, Colleen and I wrote an article some time ago for Positive Feedback Online called "He Said, She Said: Pink Turntables on Parade." We often think about writing a follow-up or turning it into a series, but we haven't been able to think of more subjects. Now, thanks to all this renewed interest in women in audio, maybe we will. But for now I'll take my own advice and stay out of the discussion. Like the old saying goes, we have two ears and only one mouth for a reason. Another one of my articles has just appeared on Part-Time Audiophile, and it addresses a hot topic in audio right now--why women don't seem to be interested in all things hi-fi...at least to the average audiophile. I have a unique perspective on this because my significant other is one of the leading women in the audio industry, so I like to think I have a little more insight than the average audiophile on this particular subject. But who knows--I'm just another guy spouting off. You can read the story here. Hopefully we'll see a companion piece by Kirsten Brodbeck-Kenney in a few days--either she'll agree with me, or she'll completely destroy my arguments. Either way, I'll let you know when it appears.